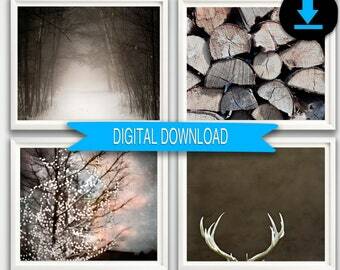 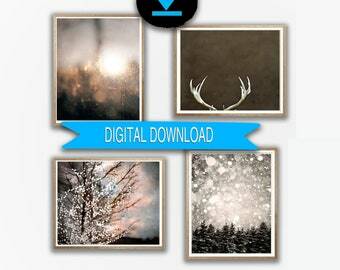 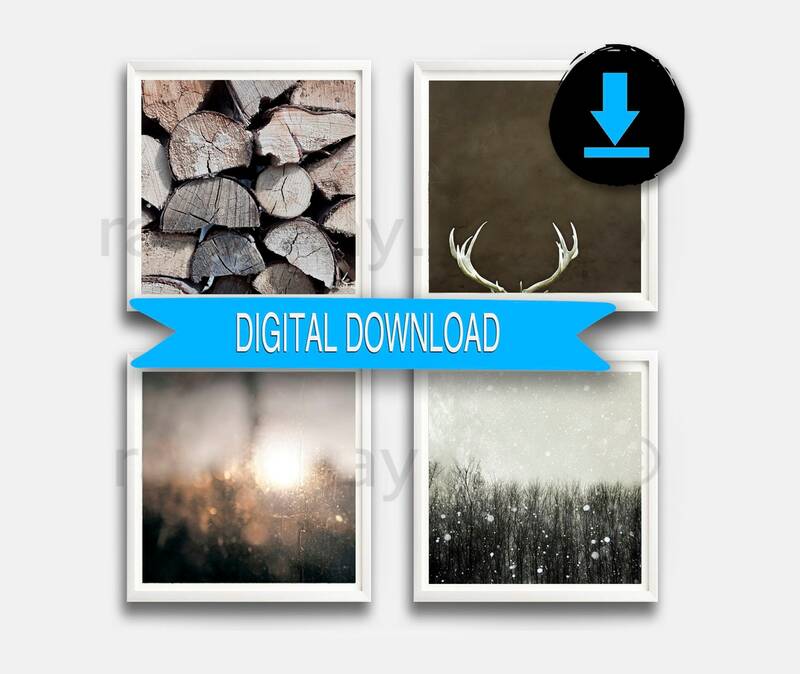 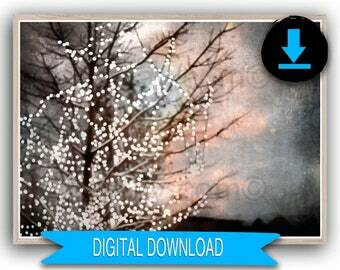 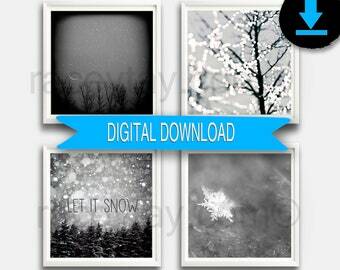 Printable Nordic inspired set of 4 photos in neutral brown and gray with hints of gold and silver. 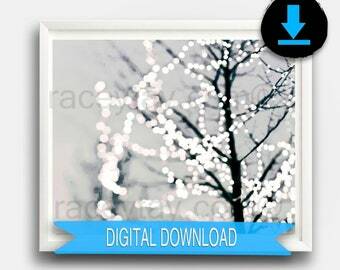 Perfect for Christmas and all winter long. 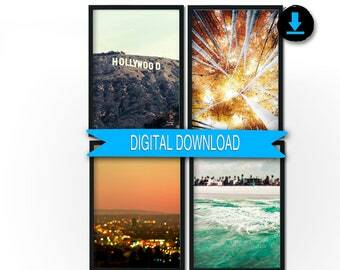 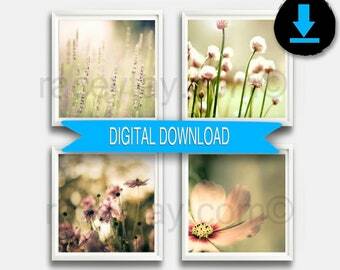 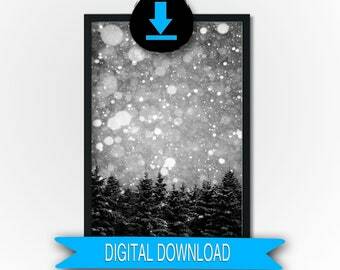 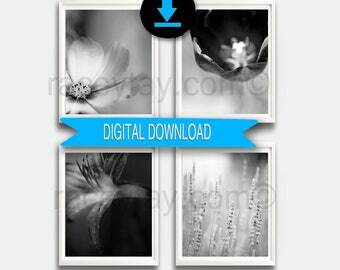 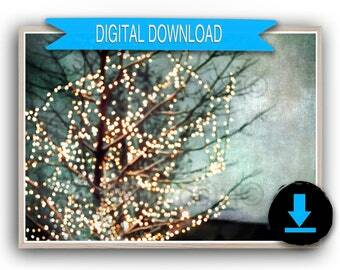 JPG files included in this download are sized 12x12 and can be scaled down to 8x8 or 5x5. 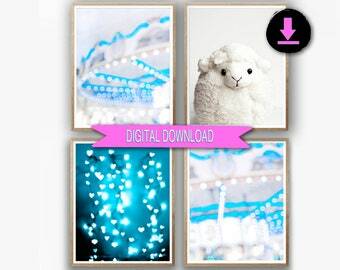 These fit perfectly in the IKEA Ribba Frames.